Record 43-39, 3rd in Atlantic Division, 6th in Eastern Conference. Lost 3-2, to Cleveland Cavaliers in Eastern Conference’s First Round. 1992-93 NBA season is my favourite even though my Spurs got eliminated in the second-round of the Western Conference Play-offs by the greatest Phoenix Suns I have ever seen. In 1992-93 the New Jersey Nets, a team that was considered, and was, one of the weakest teams of the league, had finally gathered the right pieces and was in a position to compete with the best of them. The whole process of creating a play-offs team started two seasons ago (1990-91). New Jersey had the worst record in 1989-90 (17-65) and was lucky to have the first overall draft pick in 1990 NBA Draft. Derrick Coleman was the player the Nets chose at number 1; a power forward from Syracuse whose game was compared to that of the best power forwards in the NBA. It was that season (1990-91) and in particular on 23 January 1991 that the Nets took part in a three-team trade deal (Nets, Nuggets, Blazers) and acquired one of the best, if not the best, European players ever from the Portland Trail Blazers; the Croatian shooting guard Drazen Petrovic. ‘Petro’ had not made a great start in his NBA career at Portland, where he didn’t have much playing time and he had a limited role behind the great Blazers backcourt, comprised of Terry Porter and Clyde Drexler. Petrovic came from the bench in 1990-91 for the Nets, but he had an immediate impact with 12.6ppg. In 1991-92 he started all 82 regular-season games, averaging 20.6ppg., 3.1rpg., and 3.1apg. In 1991-92 Nets made two more decisive moves; drafted point guard Kenny Anderson at no.2 overall in 1991 NBA Draft and signed the former Piston’s and Dream Team’s coach Chuck Daly at the end of the season. In 1991-92 the Nets did well and made their first play-offs appearance since 1986, to lose to the Cleveland Cavaliers in the first round 3-1. The last move that changed the team’s destiny was the trade of Mookie Blaylock, the team’s starting point guard, to Atlanta on 3 November 1992 that gave the opportunity to the team’s uprising star, Anderson, to start. So, at the beginning of 1992-93 season the Nets’ starting line-up looked pretty solid: PG. Kenny Anderson, SG. Drazen Petrovic, SF. Chris Morris, PF. Derrick Coleman, C. Sam Bowie. The squad also had great veterans such as the 80s superstar Bernard King, the starting PG of the 1983 76ers championship team Maurice Cheeks and the 1989 NBA champion with the Pistons Rick Mahorn. But most of all, the team had in Chuck Daly one of the best coaches in NBA history. United Yugoslavia was an unbelievable team and I will never stop fantasising about a game of Dream Team against Yugoslavia; if Croatia was able to provide some resistance what a united Yugoslavian team would have done? Petrovic’s performance against MJ and the Dream Team in the Olympics was also a joy to watch. In fact there was a great rivalry between these two, one that was being enjoyed by both, and the Bulls-Nets games had become a battle of these two great players representing two different basketball worlds. Drazen finished 12th in NBA in scoring per game in 1992-93, with 22.3. He scored 44 points, his personal best in his NBA career, in a game against the Rockets in 24 January 1993. After taking the opportunity to talk a little bit about Drazen as I could not include him in my top-ten lists (he played only 4 seasons during the 90s), let’s get back now to 1992-93 New Jersey Nets. Their record before the all-star game was 30-21 and they seemed as a team that would definitely be in the play-offs; in fact they were trying for home-court advantage in the first-round. But on 28 February 1993 in a game against the rivals Knicks, where the Nets won by 26 points, John Starks injured Kenny Anderson with a flagrant foul, which caused him to miss the rest of the season. Anderson had started all of the team’s 55 games by that point and was averaging 16.9ppg., 8.2apg. (9th in the league), and 4.1rpg. Anderson’s absence was devastating for the Nets and after a month (March) were they coped well, 10-5 record, they had a very bad month in April with a 2-10 record, to finish sixth in the Eastern Conference with 43-39. Derrick Coleman had a great season as well for the Nets, with 20.7ppg. and 11.2rpg (11th in the league). Sam Bowie, the former Kentucky star that was selected in no.2 overall by Portland, above Michael Jordan, in 1984 NBA Draft, had another healthy and decent season for the Nets, while Chris Morris emerged in the small forward position as Bernard King most of the time injured and was playing his last NBA season. In 1993 Nets were making their second consecutive play-offs appearance and they were going to face the team that eliminated them last year (3-1) in the first round; the sixth seeded Cleveland Cavaliers of the all-stars Brad Daugherty, Mark Price and Larry Nance. The series was more competitive than one would have thought. The Nets played without their starting point guard Anderson, however they were able to force a game 5 after tying the series in a big win, 96-79, in New Jersey in game 4. The most competitive game was game 2 of the series, in Cleveland, when New Jersey behind 27 points and 14 rebounds by Coleman as well as 21 points by Petrovic, won 101-99 and tie the series 1-1. In Game 5 of the series Cleveland was able to win 99-89, behind a great performance by Daugherty (24p., 20r. and 8a.) that overshadowed Coleman’s big game (33p. and 16r.). This way Cleveland won the series 3-2 and qualified for the second round. At that point nobody knew that this was also going to be Drazen’s last game as in 7 June 1993 Petrovic died in a traffic accident in Germany. Petrovic was a unique talent that will never be forgotten, especially his great rivalries against the world’s best scorers; those that have watched Petrovic against the Brazilian super-scorer Oscar Schmidt in 1989’s European Cup-Winners Cup know exactly what I am talking about (Petrovic 62p. – Oscar 44p.). I have the impression that if Kenny Anderson had remained healthy throughout the whole of 1992-93 season, the Nets would have finished with a much better record, probably top-4 in the East, and would have had better chances of proceeding to the second round. In addition, Drazen’s death left them with a huge gap in their starting line-up, one that couldn’t be covered. However, New Jersey was able to finish with an improved record 45-37 in 1993-94 season, behind the all-star performances of Kenny Anderson (18.8ppg., 9.6apg. and 1.9spg.) and Derrick Coleman (20.2ppg., 11.3rpg. and 1.8bpg. ), to lose 3-1 in the hands of the rival New York in the first round of 1994 play-offs. We can only imagine what this team would have been able to do if Drazen had not died in the summer of 1993. It has been three years since Sonics moved from Seattle to Oklahoma and became Oklahoma City Thunder. 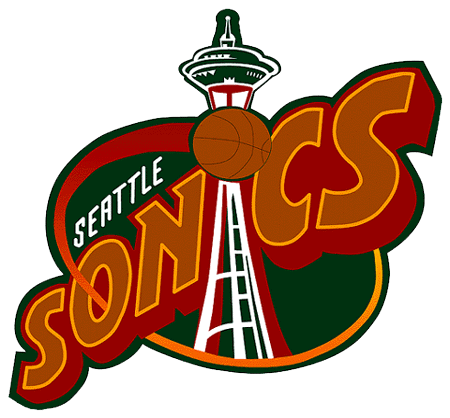 Those of us that watched the Sonics during the 90s miss them and I believe that everyone would want the Sonics to return to Seattle. I am afraid that in ten years from now nobody will refer to the great Seattle team as it has happened in the past with other teams that have been re-allocated. The 90s’ Sonics were a great team, an impressive one, I could easily say the most impressive team in the NBA. I cannot remember of anyone that didn’t like to watch the Sonics play. It was the combination of Payton and Kemp, the overall team presence (including their jerseys), their colours, the home-crowd, the arena and even the revolutionary city of Seattle, although most of us (kids that played basketball at the open courts of the Greek basketball-capital, Thessaloniki) never been there. No offence to Oklahoma City, but come on now, Thunder is not a basketball team’s name and what is it with those jerseys and the colours? They look like a set of pyjamas (although I really like the young team that Oklahoma is building, but it could have been Seattle’s team). Imagine the impact that the Sonics’ team had on us, because I wasn’t even a Sonics fan, but I knew a lot of them and if it weren’t for the Spurs I could easily be a Sonics fan. 1989-90 season was of great importance to that 90s’ Sonics team as they drafted a high-school boy that was going to change the future of the team, his name was Shawn Kemp. In 1990 Sonics recorded a 41-41 and did not qualify for the play-offs but Kemp’s athletic abilities were already recognized. Next year they made some moves, sent Dale Ellis to Milwaukee in exchange for Rickey Pierce, and McDaniel to Phoenix for Eddie Johnson, but their most important move was drafting the young point guard Gary Payton. The trades had an immediate positive effect on the team, even though the youngsters were not ready yet they made the play-offs (41-41 again in regular season) where they battled against a great Blazers team and fell after 5 games (3-2). In 1991-92 season they made another key decision by hiring George Karl as their head coach. Sonics played beyond 50% (47-35) in the regular season and qualified sixth in the West for the play-offs. They faced Mullin’s and Hardaway’s Golden State Warriors and they eliminated them in four games (3-1), while Shawn Kemp averaged 22ppg. and 16.3rpg., but in the 2nd round things were not that easy as they played against the powerful Jazz that defeated them in five games (4-1). This was the beginning of the 90s era for the Sonics. In 1992-93 season the trades, the drafted players and the coaching came together and the Sonics had their first over 50-wins (55-27) season in the 90s. This record brought them in the 3rd position of the Western Conference Play-offs where they had to face the team that eliminated them last season and it was definitely a strong team. The Supersonics had already become a team that was a joy to watch as Payton’s and Kemp’s cooperation was maturing and the results were at least impressive. However, the Sonics got almost eliminated in the first round as they were behind 2-1 and they had to play the fourth game of the series at Utah. The Sonics found the courage and with some great performances from their veterans (Eddie Johnson and Nate McMillan) were able to win both of the remaining games and qualify (3-2) for the next round. In the second round, the Sonics had to play against the Houston Rockets (almost the same team that won the championship next year). The series was tough like a dogfight; 1-0 for the Sonics, 2-0 Sonics, 2-1 Sonics, 2-2 series tied, 3-2 Sonics, 3-3 series tied and finally after a heart-breaking game the Sonics beat the Rockets 103-100 and eliminated them 4-3, but I have to mention that there were a few calls that Rockets’ fans remember even now. Anyhow, the Sonics qualified for the Western Conference Finals where the best team of the regular season (Phoenix Suns 62-20) was waiting, after eliminating the Spurs (4-2). A great match-up, Barkley versus Kemp and two high-scoring and offensively orientated teams against each other. Those western finals were so good, either team could have won, but in the end it was the Suns that prevailed (4-3). It was again a great battle with both teams coming at each other throughout the series, but Charles Barkley saved the best for the last and came up big on the seventh game of the series (44 points and 24 rebounds) to give his Suns the so-wanted win and qualification to the NBA Finals. How disappointment and making history can be in the same sentence? Of course they can be you don’t only make history by winning or by doing acts of heroism, you can be a negative protagonist of the history and Seattle Supersonics were exactly that in the next two seasons of the 90s. Detlef Schrempf and Kendall Gill came to the team as Derrick McKey and Rickey Pierce were traded and the team became even stronger. They demonstrated their abilities throughout the regular season and finish with an NBA best 63-19 record. The expectations were great, last year they came one win shy of the NBA Finals and now they entered the Play-offs with the best record. The 1994 play-offs started in the same fashion as the regular season ended for the Sonics. 2-0 lead over the 8th seeded Denver Nuggets, but Dikembe Mutombo and his company hadn’t said their last word. They managed to turn the series around and finally beat the Sonics (3-2) in a dramatic game 5 in front of their crowd. This was the first time that a number 8 seed eliminated a number 1. In 1994-95 season the Sonics tried to get over last year’s humiliation and did fine by recording a 57-25 record in the regular season. They entered the play-offs fourth in the west and played against a young and not that strong Lakers team. They were the definite favourites, but they managed to lose 3-1 after winning the first game of the series by a 25 point margin. The Seattle Supersonics in the second round of the play-offs was becoming an anecdote within the NBA’s cycles. New arena (Key Arena) for the Sonics meant a new beginning. Hersey Hawkins joined the team in a trade that sent Kendall Gill to Charlotte. The fans were cold because of the way the last two seasons ended. Everybody around the world had gone mad with the second coming of the chosen one (MJ) and the basketball version of the ‘Beatles’ (Jordan, Pippen, Rodman, Kukoc), so nobody was paying attention to the western side of the US territory. It was the perfect moment for a full-out attack. The Sonics played the usual good and spectacular basketball during the regular season. They recorded a second NBA best record with 64-18 that season (Bulls recorded all-time best 72-10) and they were first in the West. But that was not something new, nobody had forgotten 1994 Play-offs. This time everybody was doubting, many were betting against the Sonics in the 1st round and in favour of the Sacrament Kings (8th in the West). Sonics won the first game, okay everybody had seen that before, and then they lost the second game in Seattle. That was it everyone was sure now that the Sonics were going to be eliminated again. Sonics’ players thought otherwise and defeated the Kings in the next two games at Sacramento (3-1). In the second round the Sonics were Super indeed, as they swept (4-0) the Champs (Rockets) and qualified, for the second time in the 90s, to the Western Conference Finals. The finals of the West were no easy task the Utah team was a well-prepared team and eager to win a championship. The Sonics finally showed the world what they were made of and beat the Jazz in a really tough series 4-3. Seattle was celebrating the fans around the world expecting a great series between the two best teams of the regular season. It was not like that though, as the ‘Beatles’, sorry the Bulls took an early 3-0 lead in the series and the rest were just a typical procedure. Sonics tried and won the two following games at their arena but that was all the Bulls celebrated their fourth title in front of their home-crowd (4-2). Seattle had finally been recognized as a top team after their great performance in 1996 play-offs. They had another good regular season (1996-97) and finished 2nd in West (57-25). In the first round of the play-offs they faced the new Barkley-less Phoenix team and won the series after 5 games (3-2). In the second round Sonics played against the Rockets, that had their own big three (Olajuwon, Barkley, Drexler) and after a bad start in the series they found themselves trailing 3-1. Sonics found the strength and courage to tie the series to 3-3 but after a tough game 7 they finally lost and got eliminated (4-3). In that same season the Sonics management made a great mistake by acquiring the ex-Bullets’ center Jim McIlvaine in order to have another big man that could help Shawn Kemp, they paid big money for a player that haven’t proved his worth and that created some internal problems to the team as other players that had helped the team wanted to be compensated. One of them was Shawn Kemp. So, at the beginning of 1997-98 season Shawn Kemp asked for a new bigger contract and he demanded the money of a superstar, as it was expected. The management of the team didn’t agree and Kemp demanded a trade. The trade took place and Kemp headed to the East (Cavaliers) as the Sonics landed Vin Baker from the Bucks in a three-team deal. In my view this was the beginning of the end for the whole Sonics organization. Baker was a good and young player and had an immediate impact on the team, the fans loved him and with a great scoring season from Gary Payton the Sonics had another over-60wins season (61-21) and finished second in the West behind Utah. They beat the young Timberwolves in the first round (3-2) and played against another young team with a lot of potential (Lakers) in the second round. L.A. proved to be an obstacle for the Sonics that couldn’t be overcomed, as Shaq and his company prevailed in five games (4-1). After the elimination George Karl announced that he wants to walk away from the team and this is what happened as he left to join the Bucks. The retirement of Nate McMillan was one more sign of the end of an era for the Sonics. The next season (1998-99) was a disaster as the Seattle team didn’t qualify for the play-offs (25-25) and this how the end of this great team has started the next decade Seattle was a mediocre team because of the many mistakes of the owners, the state and the management of the team that finally led to a re-allocation in Oklahoma at 2008. Indiana Pacers were undoubtly one of the best teams of the 90s. They were not a great regular season team, as you can see their winning percentage is not that good, but they were real fighters when they had to, at the play-offs. A really hard team with a fanatical home crowd. They were made 9 play-offs appearances and they played four times in the Eastern Conference Finals and lost all four of them. The definite superstar of the Pacers throughout the 90s was Reggie Miller and all the 90s Pacers’ teams were built around him. He was drafted at 1987 and since then the Pacers team never looked back, they created a contender team with Miller as they cornerstone and they finally made the NBA Finals even at the beginning of the next decade (1999-00 season). During the first three years of the 90s, the Pacers were not a recognizable force in the league, their winning percentage was around 50% and they qualified for the play-offs, as 7th seeded team in East, in each one of those seasons. They didn’t do well in the play-offs either as they were eliminated by the Pistons (3-0) and by the Celtics two times in a row (3-2, and 3-0) respectively. Pacers were a very young team back then with Reggie Miller, Rik Smits and Detlef Schrempf been playing in the league for less than 5 years each one of them. The Pacers experienced star was Chuck Person that averaged 18.8 points in those three seasons, he was not a bad player but he was not a player that a team could base its hopes for success as he was a bit colourful (not in a bad way) and inconsistent. From the way they played against the Celtics in 1991 play-offs you could understand that something good was starting in Indiana. The next three years of the 90s were not the same for the Pacers, they made some changes (Chuck Person was traded to Minnesota) and their young stars were getting mature enough to pursue higher goals. In those three years the Pacers played two consecutive times at the the Eastern Conference Finals (1994, 1995) and lost both of them. But there is only one thing that can characterize this era for the Pacers, the battles against the New York Knicks. Their battles and the spectacular performances of Pacers’ star, Reggie Miller characterized the whole NBA play-offs at 1994 and 1995. 1992-93 was the last season of Pacers’ head coach Bob Hill and they made they performed the usual way during the regular season (41-41) and they made it to the play-offs where as number 8 seed had to play against a powerful Knicks team that had the best record in the Eastern Conference. Pat Riley as the head coach of the Knicks at that time had created a tough team that was looking to face and beat the Chicago Bulls. Pacers’ were not ready to face the Knicks and were defeated 3-1. 1993-94 was the first season with Larry Brown as a head coach of the Pacers and Detlef Schrempf (that was an all-star and NBA’s sixth man last year) was traded to Seattle for Derrick McKey. This created scepticism amongst the Pacers fans and criticism on Pacers’ GM (Donnie Walsh) moves. However, Brown and the Pacers had their standard regular season (45-37) and qualified as number 5 seed for the play-offs. In the first round they swept the young Magic team (3-0) and in the second round the ambitious, first in the East, Hawks team (4-2). In both of the rounds their opponents had the home-court advantage. Their success in the first two rounds brought them, for the first time in the 90s, to the Eastern Conference Finals where the team that eliminated them last season, was waiting. The New York Knicks were not afraid of the Pacers (they had no reason to be) in fact they were arrogant and did not see the Pacers coming. One of the greatest play-offs series that I had the opportunity to watch took place and found the Knicks winners at the end (4-3) but the Pacers had also won the respect of their opponents and every NBA fan around the world. A remarkable moment was the performance of Reggie Miller during the fourth quarter of the 5th game, where he scored 25 points in the fourth quarter and won the game for the Pacers in Madison Square Garden that gave them the lead 3-2 in the series. Knicks were able to bounce back after that and win the next game in Market Square Arena (Indianapolis) and the last game in New York. 1994-95 was a different season for the Pacers, the fans had expectations, themselves had expectations after last year’s great play-offs run. Larry Brown had done a great debut at Pacers’ bench and was preparing the team for greater things. The arrival of Mark Jackson made the Pacers even stronger, a good point guard that would be able to find Reggie Miller off the screens was the missing piece of the Pacers’ puzzle. 1994-95 was the first 50-win (52-30) season since the Pacers joined the NBA. This was a sign for what is going to follow. They qualified as 2nd seeded team for the play-offs and swept the Hawks (3-0) at the first round in a furious way that it seemed like they were anxious to face their rivals at the next round. I believe that Pacers would be really disappointed if Knicks didn’t qualify for the 2nd round and didn’t give them the opportunity for a revenge. This time was the eastern conference semi-finals but it seemed like it was the NBA finals, a great series again. This time though the Pacers did it, they won 4-3 (Knicks had home-court advantage) and the two teams showed from the first game (pt1, pt2, pt3, pt4, pt5, pt6, pt7, pt8, pt9) at Madison Square Garden that this was going to be a great battle, as nobody that has seen that game will never forget Miller scoring 8 points in the last 16.4 seconds of the game to erase a 6-point Knicks’ lead and steal the win for the Pacers. The Pacers were not able to utilize this great success and were defeated (4-3) in Eastern Conference Finals by the young and filled with talent Orland Magic team (Hardaway, O’ Neal), after a really tough series. The next two years 96 and 97 were not that good for the Pacers, they had many injury-problems, they qualified for the play-offs in 1996 but eliminated in the first round by the Hawks (3-2) and stayed out of the play-offs (the only time during the 90s) in 1997. 1997-98 was the start of a new era for the Pacers with Larry Bird as their head coach and it was their best season during the 90s. This team was the best team that Pacers had during the 90s and it was almost the same team that reached the NBA Finals in 1999-00 season. Larry Bird took a good team and made it great, it is a shame that he coached only for three seasons. He brought the veteran Chris Mullin and found a way to put Jalen Rose in the mix. 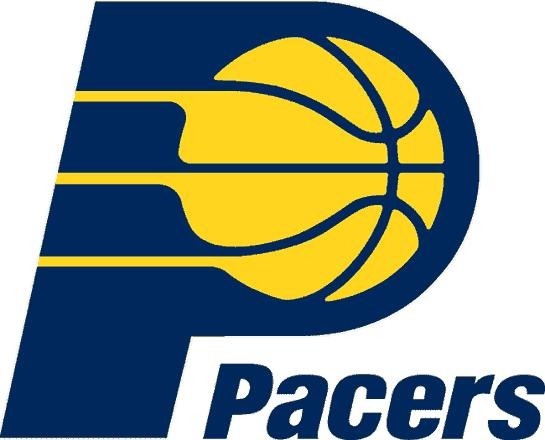 Pacers recorder 58-24 (their best record in the 90s) and qualified third for the eastern conference play-offs. They eliminated the Cavaliers 3-1 in the first round and in the second round met again with their fierce rivals New York Knicks. But this time the Pacers were by far the best team of the series and eliminated the Knicks easily (4-1). It was clear that Pacers were ready to play against the Champs (Bulls) but nobody expected them to be such a difficult challenge for the great but aging Chicago Bulls. I will use a phrase that the presenter of the Chicago Bulls Dynasty documentary used “Pacers’ team has been built to defeat the Chicago Bulls”. It was like that, they were tough, experienced, talented and had the most difficult home-court with fanatical support from their crowd. Indiana was always a basketball state (except from a racing state) and the fans were and are crazy for their professional basketball team as any other basketball team within their state. That Eastern Conference Finals series was just great the Bulls were so good but the Pacers were coming back at them all the time. One more time Reggie Miller’s heroics kept the Pacers alive as he scored 13 points in the last 4 minutes of the 3rd game of the series and scored the decisive three-pointer at 96-94 win in game 4. But even this well-organized and hungry for success team was not able to beat the Chicago Bulls and the Pacers did not reach the NBA Finals once more. The last shot for the 90’s Pacers to reach the NBA Finals was the 1998-99 short season (50-game season because of the lock-out). 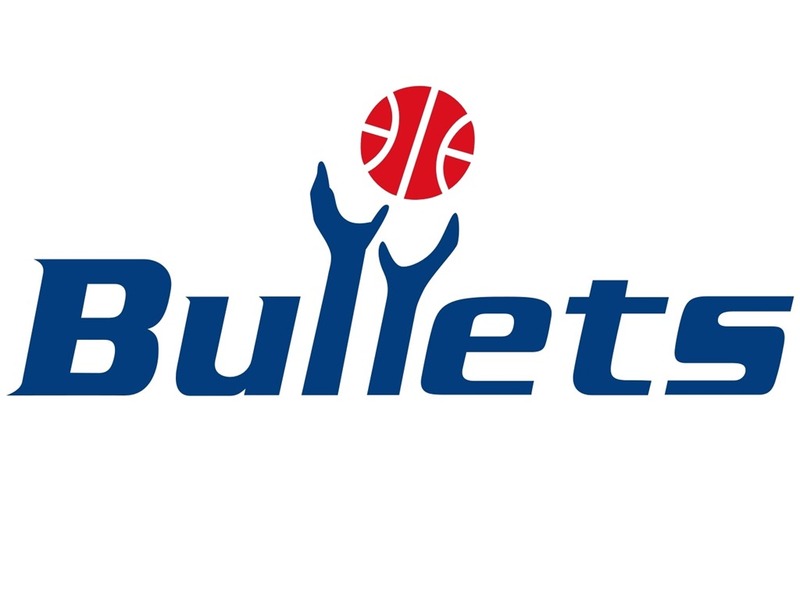 They qualified for the play-offs with the second best record in the East (33-17 tied with Miami Heat). They marched to the Eastern Conference Finals after they swept both the Bucks (3-0) and the 76ers (4-0) to meet their rivals once again. They were the hot favourites against a renewed New York team (Allan Houston, Larry Johnson, Latrell Sprewell, Marcus Camby) that qualified last for the paly-offs but had upset Miami (3-2) and Atlanta (4-0). Pacers had the home-court advantage, they seemed unbeatable as they have destroyed their opponents in the first two rounds and nobody believed that the Knicks could surprise the Pacers and eliminate them (except from myself that I had foreseen, before the play-offs, that that Knicks’ team was good enough to reach the NBA Finals and I have witnesses on this one). Pacers lost the first game (at home) but won the second where Patrick Ewing got injured and did not play for the rest of the play-offs. This was their best shot, Ewing-less Knicks should have been an easy target for that Pacers team, but they didn’t except that the aged Ewing was actually slowing down the young Knicks team and they found out in the worst way as they were able to win only one more game of the remaining and finally be eliminated 4-2 by a great team effort from the Knicks in both sides of the court that defensively was able to contain Reggie Miller and provide multiple scoring options offensively and this how the story of the 90s Pacers ends. Indiana Pacers was a really good team of the 90s but their inability to reach the NBA Finals and compete for the title brought them in the 10th position of the top ten ranking for the best teams of the 90s. * The rules for the selection of the all-90s teams can be found at the about page.